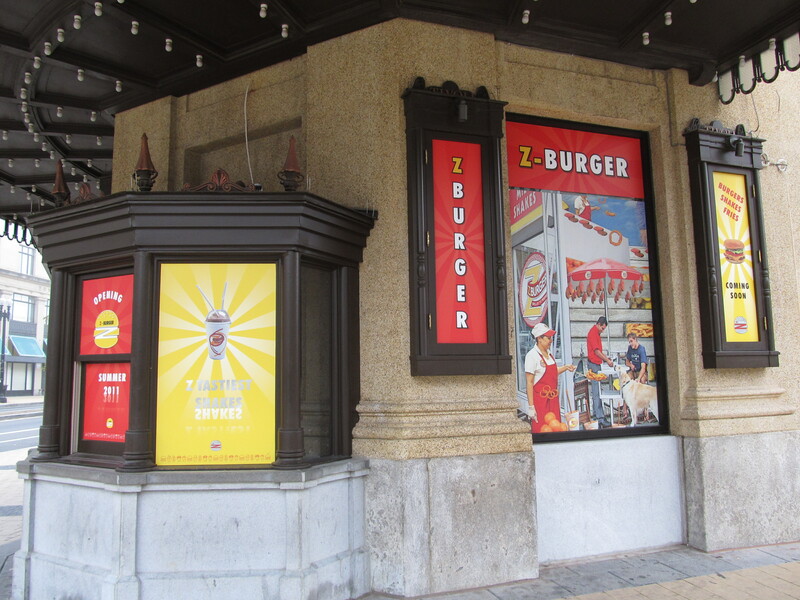 Brief Update on Columbia Heights Z-Burger | Park View, D.C.
« Have You Ever Noticed that Home Improvement Projects Take Longer than Expected? At last night’s ANC 1A meeting, Commissioner Laina Aquiline informed the assembly about what is delaying Z-Burger’s opening. The chief snag is the public space permit for the sidewalk cafe, which shouldn’t be much of a Surprise. It was addressed at both the July and September ANC 1A meetings, where there was a lot of concern about the Columbia Heights Public Realm and the impact the sidewalk cafe would have on it. After getting the ANC resolution in support of the public space permit, it then needed to go before DDOT’s Public Space Committee . It was scheduled for the October meeting, but because of community concerns and issues from DDOT, the issue was tabled until the November meeting. That meeting is scheduled for Thursday, November 17th, at 9:00 a.m. The impact the sidewalk cafe will have on the public realm. This entry was posted on November 10, 2011 at 9:01 am and is filed under Restaurants. You can subscribe via RSS 2.0 feed to this post's comments.